Honda Activa or Honda aviator, It’s so difficult, isn’t it? we always face this kind of confusion while purchasing a vehicle, it’s always being so difficult to choose between the vehicle with almost same configuration but different braking system, In above example Honda Activa and Honda Aviator both are having almost same engine configurations but Activa comes with drum brakes and Aviator comes with disc brakes which makes it so confusing for us to choose between them as both the braking systems have their own advantages over each other, so now the question arise How these 2 braking systems differs from each other? Here we will discuss the major difference between drum brake and disc brake. Let’s just clear the doubts. A drum brake system is a system in which a 2 parts drum is used for the brake shoes to make frictional contact with, one part of the drum brake consist of a housing of the brake shoes along with the mechanical constraints and another part of the drum is attached with the wheel hub that rotates with the wheel. The hydraulic pressure generated by the brake oil over master cylinder is transferred to the brake shoes due to which the brake shoes expands and make frictional contact with the rotating part of the drum used. A disc brake system is a system in which a drum of a drum brake system is replaced with a metallic circular disc which is mounted over the wheel hub and also rotates with the rotating wheel of a vehicle, Over this disc used in a disc brake system, A clamp type device called calliper is mounted, inside which brake pads are attached in such a way that the inward movement of these brake pads makes frictional contact with the rotating disc in order to decelerate or to stop the vehicle, when the brakes are applied. The inward motion of these brake pads occurs due to movement of the pistons mounted inside the calliper which is due to the hydraulic pressure generated by the master cylinder when the brakes are applied. 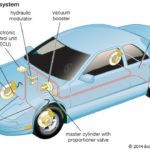 What is ABS (Anti-lock Braking System) and How it Works? 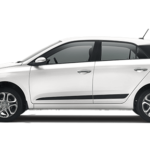 The above introduction about the disc brakes and the drum brakes concludes that the both the brakes system works on the same principle i.e. when the brakes are applied, the hydraulic pressure generated by the master cylinder causes movement in brake pads which in turn makes frictional contact with the rotating component coupled with the wheels and the vehicle finally decelerate or stops. So now the question comes, how can we choose the type of brake system according to our application? The answer is by distinguishing them, so let’s just do it. In drum brakes instead of disc a drum is used whose outer part having drum lines is coupled with the wheel’s hub and rotates with the wheel. In drum brakes a drum is used inside which the brake shoes along with the actuating mechanism (cylinder or spring) are mounted in such a way that when the brakes are applied the outward motion of the brake shoes makes frictional contact with the rotating drum lines and the vehicle decelerate or stops. In drum brake instead of the brake pads, large brake shoes made up of frictional material glued over a metallic shoe like component are used for making frictional contact with the rotating drum lines and the outward of these brake shoes is governed by the hydraulic cylinder mounted inside the drum. The overall arrangement of the drum brake system is quite large as compared to the disc brake system. In disc brakes a circular metallic plate is used which is coupled with the wheel’s hub and rotates with the wheel. In disc brakes a calliper is used which mounted over the disc in such a way that when the brakes are applied the movement of the brake pads try to clamp the rotating disc(making frictional contact) which in turn causes vehicle to decelerate or stop. In disc brake small brake pads made up of frictional material (having rough surface) are used for making frictional contact with the rotating disc, the clamping movement of these brake pads is governed by the small hydraulic cylinders called wheels cylinders mounted inside the callipers. 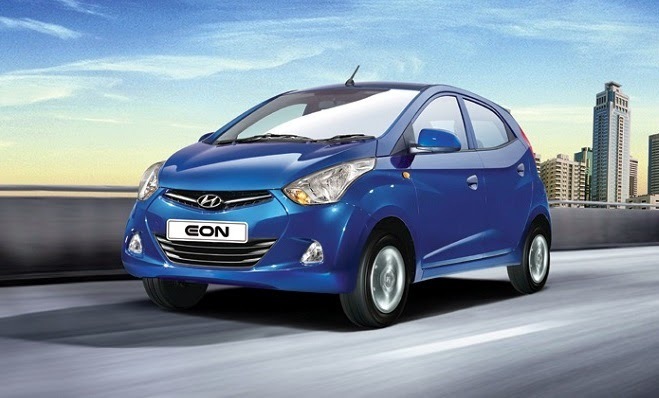 Overall arrangement of the disc brakes system is quite small as compare to the drum brakes. 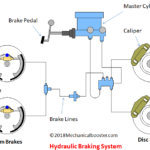 The initial working of the drum brakes is same as the disc brake but after the brake oil leaves the master cylinder the working of drum brake is as follows. The brake oil from the master cylinder having high pressure enters the brake drum and applies pressure on the wheel cylinder pistons of the drum brakes due to which the piston moves. 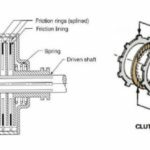 Due to this movement of piston the brake shoes inside the brake drum moves outward and makes contact with the rotating drum lines. Due to this frictional contact between brake shoes and drum line the vehicle decelerates or stops. The working principle of the disc brake is same as the drum brake but the movement of components is different. In disc brake system when the brake pedal is pressed the piston of the master cylinder pushes the highly compressed brake oil (hydraulic fluid) through the brake lines to the brake calliper. 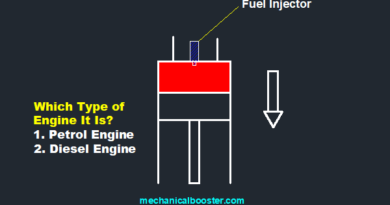 This brake oil having high pressure enters the brake calliper and due to this high pressures the pistons of the wheel cylinders of both sides i.e. right pad side and left pad side moves. 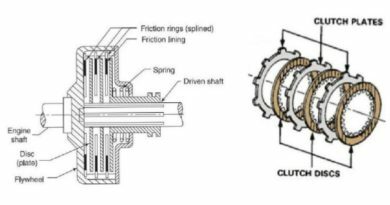 Due to these movement of the wheel cylinder piston the brake pads moves in inward direction and try to clamp the rotating disc. Due to this contact between brake pads and rotating disc frictional force is generated which in turn finally decelerate or stops the vehicle. As they can be expand to any size so the use of drum brakes in heavy vehicle is quite efficient. The brake force applied by the disc brakes over the rotating wheel is quite high as the frictional force generated due to the contact between the brake pads and the rotating disc is quite high, due to this reason the disc brakes are good for others on the road, but are sometimes dangerous for the driver. Due to the limitations of increase or maximum in size disc brakes are usually not used in heavy vehicles. As they can be expand to any size so the use of drum brakes in heavy vehicle likes trucks and buses is very common. As the disc brakes can be made as small as required the use of disc brakes in 2-wheelers like scooters and bikes, become very common. 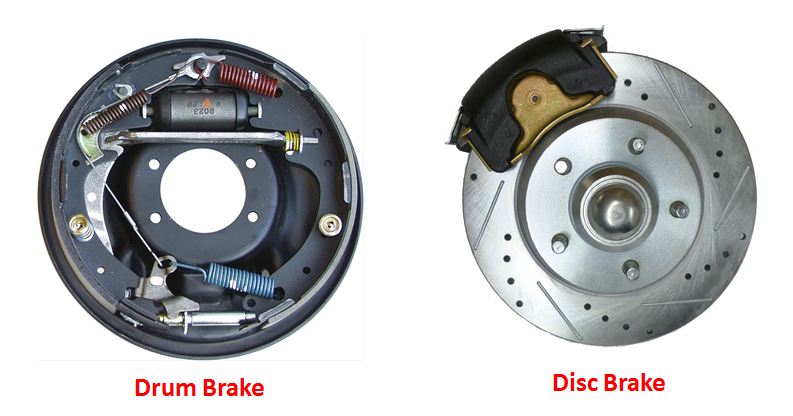 In this article we have discussed about drum brakes vs disc brakes. We learnt all the major difference between drum and disc brake. If you anything missing or incorrect than comment us, and if this add gives you some knowledge than don’t forget to like and share. 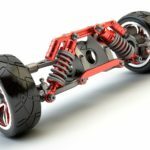 ← How Suspension System Works in Automobile?